Sarah Harms, various posts, Sarah Harms, e-mail address,. E-mail written 2002 to Lew Griffin from Sherrie Blanton Adams. Nancy A. Culpepper and William J. Blanton, 31 Dec 1857, Randolph Co., GA, Book 2, p. 483. 1840 Census 1 Jun 1840� Nancy was probably a free white female, under five years old, in Micajah Culpepper's household, on the 1840 Census on 1 Jun 1840 at Henry Co., Alabama. "My father is Jasper Hubert Blanton.... His parents were Joseph Henry Blanton, born December 24, 1867 married to Lula Rosetta Paul, born May 4, 1877, both (I assume) of Early County, GA. They were married on September 11, 1895. 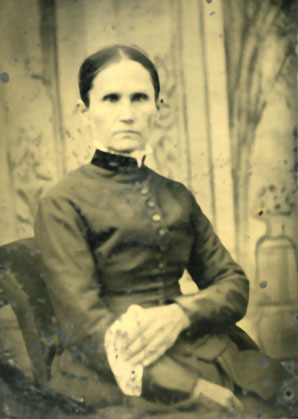 Joseph had 2 sisters, Nancy Ann Elizabeth Blanton, born November 3 1857 and Martha William Blanton, born May 15, 1861. Joseph's parents were William J. Blanton, born May 16, 1834, married to Nancy Culpepper, born February 22, 1839. They were married on December 31, 1856. I found this information in a Bible that belonged to Nancy Culpepper Blanton. There was also a hand written letter to her from her sister "Amanda B." of Pike County, AL. The stories that I have heard is that William and Nancy lived in Pike Co., AL and were in the process of building a house when William had to leave to go serve in the Civil War. They only had the 2 girls at that time. When he returned from the war, Nancy became pregnant with their only son, Joseph, but William died about 4 months before he was born. Nancy then moved to Early County, GA and raised her family there...."
Micajah Culpepper, 2 M0-5, 1M30-40, 1F0-5, 1F30-40, 0 Slaves. Suse H. Boykin, Daughter, F, W, 5 6/12, Sng, GA, MO, GA.